Like the Streets For People Facebook page for updates on this special event. Streets for People inspires people of all ages to gather and participate in the community, encouraging the creation of vibrant places within our public spaces. 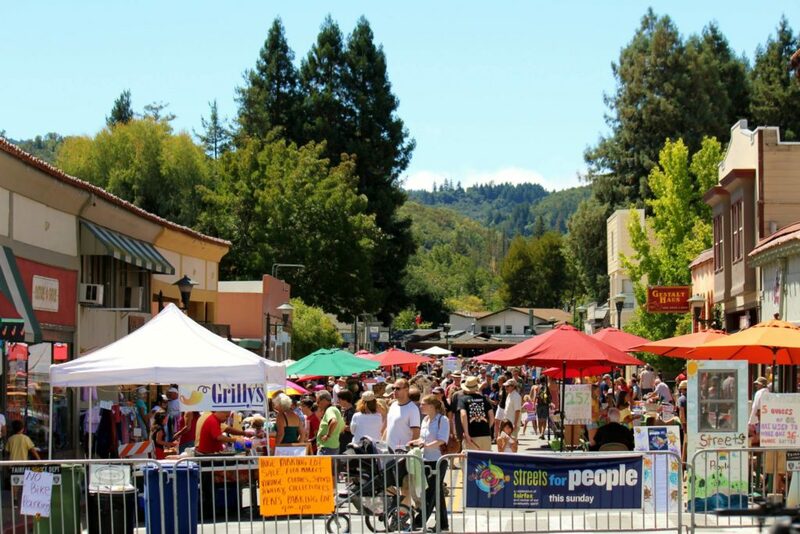 During this event, the downtown Fairfax street Bolinas Road is open to the public from Broadway to Elsie Lane. 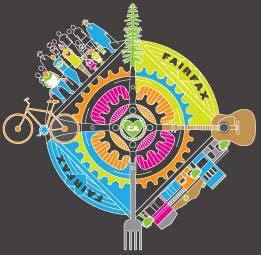 The open street inspires people to enjoy environmentally-friendly outdoor activities, reconnect with friends, check out live local music, and shop and dine at Fairfax businesses. Featuring dance and yoga, art and crafts, delectable local food, live music, community organizations and more, Streets for People brings folks downtown to celebrate and strengthen our community. This year the event takes place on Sunday, August 27th, from 10am – 4pm. This event was inspired by Ciclovia, a successful car-free program in Bogota, Colombia that closes 70 miles of roadway every Sunday, allowing two million participants to safely ride bicycles, walk, dance, eat, and celebrate the city in a healthy environment free from cars. This program has also inspired the Sunday Streets program in San Francisco, Oakland, Berkeley, and across the nation.